Steve Jobs? Abraham Lincoln? Albert Einstein? All of these historical game changers have one thing in common, beards. Protecting facial skin. A lot of dirt and germs get attached to the skin when a man shaves that lead to pimples and acne when the skin pores are irritated during regular shaving. Keeping that beard going avoids such situations. Saves Time and money. Shaving is not a touch and process and requires a certain kind of precision unless one fancies a day with a face full of band-aids at the office. As mentioned above a regular shaver suffers from acne and pimples which often require medical assistance which does not come cheap. Image Enhancement. It’s obvious the guy with the beard is the one who is easiest to remember. Not forgetting that a beard makes a man look intimidating than he probably is, this goes a long way in fending off those weirdo’s and creepers from your lady. Act as natures blankets. Bread is a scientific guarantee to keep your face warm during those crazy winter months. A man’s genetics define his beard growing potential. That being said, stress, poor dieting, and physical damage can negatively affect beard growing potential. If you want to attain the best beard you can, follow the few simple tips outlined below. First off, to achieve the best beard possible a healthy diet of foods rich in protein is vital’. A higher protein diet will help boost testosterone which is an important element in beard growth. Vegetables such as peas, broccoli, chickpeas, and spinach are especially rich in protein content. Other good foods are spinach, nuts, avocados, olives, and olive oil. Avoid soy-based foods and take more red meat. In case your diet is not efficient supplements can be used to make up for deficiencies in your diet. A good regimen ordinarily comprises of a multi-vitamin, biotin, and fish oil. Biotin will help your hair and nails grow faster, and in other countries, it’s called vitamin H for hair. In addition to these essentials, you can add zinc, vitamin B (specifically B6), and magnesium. Another way to increase your testosterone is to exercise regularly-lifting weights in particular. Once you have the internal matter taken care of, the focus should shift to the external. That means when growing a beard-stroking, the beard is preferred to picking at the beard. Picking split ends, or simply focusing on single beard hairs can lead to patches, more split ends, or other damaging effects. The final tip is patience. Beards take time, and they will get longer, you just need to wait. Shaving your beard will not make your beard grow faster, and anyone who says it does is just trolling you. Hair is little dead pieces of you slowly coming out of your body. If they lived a good life, then they will exist as a good hair otherwise your beard will look unhealthy. Keep stress and smoking to a minimum, and you will be living up to your full beard growth potential. Once you’ve got your beard growing at its best, you’ll have to take care of it to keep it that way. This starts in the shower: you have to resist the urge to shampoo your beard every day. Shampooing beards put a lot of strain on hair because it strips out the natural oils that keep your beard healthy and moisturized. I try to shampoo only once or twice a week and always use conditioner after a wash. Immediately after the shower, while your pores are still open, is the best time to add some beard oil to your face and beard. Beard oil is a leave-in conditioner that will help keep your beard soft, shiny, and prevent against beard dandruff. 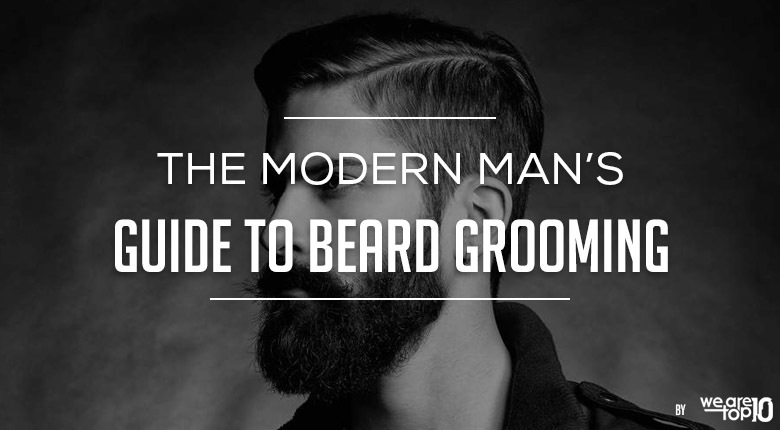 From there, you’ll need to minimize the damage to your beard. Excessive brushing, blow drying or just stroking can lead to split ends and bald patches as earlier indicated. If you are the type to play with your beard, try to keep objects nearby to keep your hands occupied such as a stress ball. Trimming regularly will help remove split ends and even out fast-growing hairs. For your combing needs, try to get a saw-cut and handmade comb. These combs will glide through your beard like a hot knife through butter and create little to no static. If you are a brush person, avoid the nylon brushes and go for a boar’s hair brush. The hairs help redistribute your natural oils rather than stripping them away. Now that your beard is healthy and strong, you’ve got some style options. Besides your full natural beard, your Garibaldi and Verdi are the most common full beard styles. The Verdi is a shorter beard with larger mustache, and the Garibaldi is a full round big bushy beard. When it comes to facial hair styles, the guiding principle to keep in mind is: Your beard and your jaw should work in tandem to achieve a nicely graduated, oval shape. If you have a square or round jaw, you’ll want to grow your beard fuller on the bottom to elongate your face. If you have an oblong or rectangular face, you’ll want more hair on the sides while avoiding more length beneath the chin. Beard oil gives a beard both a wonderful scent and a healthy look. Best beard oils should be very lightweight. Oils retain your beard conditioned and glossy. In addition, beard oils soften, hydrate, and condition your beard while reducing or removing dandruff. Lightweight beard oils will not pull down your beard or make it feel unctuous.Check Top 10 Best Beard Oil Reviews. Beard wash should have very gentle lather that is soft enough for your face and tough enough to handle curly, coarse beard hairs. We recommend using beard wash once or twice a week, but you can use it daily if your beard tends to get dirty regularly. Follow up with a matching Beard Softener for the ultimate cleaning experience. Beard Softener (similar to a hair conditioner) like beard wash, is a silicone free product that won’t build up over time. It can be used much like a hair conditioner by applying it after washing your beard or even apply on days that you don’t need to wash your beard. For the ultimate experience, apply it after using a matching Beard Wash.
Mustache wax is commonly made with natural ingredients which include, beeswax, jojoba oil, and lanolin. Mustache wax provides a medium hold and is perfect for a natural style that keeps the mustache out of the mouth. This wax will provide enough hold for a very natural shape with some pliability, and the hold will last all day. Texture paste is a styling product that is ideal for beard care. Texture Paste is a very lightweight, sculpting product that helps get those wild beard hairs under control without feeling like you have any product in your beard. Texture Pastes are usually water soluble, which means you don’t need to wash your hair with soap to remove the product, water will do just fine. Texture paste is a medium hold, matte styling product. For a natural and classic look, apply while hair is damp. If you want more texture, apply product when hair is dry. It’s preferred to uses handmade combs made specifically for beards. This comb tooth is saw-cut and finally polished with skill and precision leaving a smooth buttery feel. This helps prevent split ends caused by using typically molded plastic combs. Beard scissors are not the regular kind of scissors, and it’s always important to ask specifically for beard scissors when shopping. Scissors should always be changed if damaged or after a few months of regular use. It’s always advisable to have scissors that meet current travel regulations. Beard trimming is an art and should be taken seriously just like any other form of grooming. With that being said here is how best to go about the job.You can check out Top 10 Best Beard Trimmers. Comb or brush it by getting all of the hairs steady in one direction. Use clippers to achieve an even cut, and if you aren’t sure of the size to cut, it’s advisable, to begin with, a bigger clip and work your way down. Fade the neck and cheeks by graduating to smaller clipper sets by starting two sizes lower as you move outward. Trim the mustache properly but first comb all hairs to the side first, and clip on the desired setting. Then comb down over the lip and get rid of the guard, so as to trim whatever that hangs over the lip. Utilize the scissors for detailing thus cleaning up strays and achieving a more natural finish. Finish up by applying beard oil to preserve healthy hairs and avoid them from drying and itching. Trim your beard when it’s dry to get a better sense of how it will look. Invest in a solid pair of clippers that last much longer and are far more durable. Don’t assume all guards are the same length: Like with clothing, every brand’s measurements are slightly different. Always test on a higher guard before settling into your preferred length. Generally, though, a 4 guard is half an inch. When you trim the underside, stretch out the skin as neck skin can bunch together, so be sure you’re grazing over the actual surface of the skin. The notion of growing a full-bodied beard is one of the most satisfying things a man can do. However, in reality, beard hairs, made sharp by your razor, will irritate skin as they grow. If you’re planning to grow out your beard this season, here’s how to control that itch. Between dust, oil, stray hairs, and skin cells, your beard attracts all modes of debris. A regular wash will keep it clean, but everyday shampoos can strip your strands of moisture. As an alternative, scrub every day or two with a mild, hydrating beard wash.
As soon as your beard is clean, it requires being softened up. Beard conditioner will impart your beard with moisture and nutrients, refining your hair’s texture and making skin irritation less probable. Use conditioner two times every day for complete moisture. For hydration to be present all through the day, a good conditioner may not be sufficient. Supplement your routine with a daily dose of beard oil, which can be applied after a conditioner or be used alone. Despite a man’s best efforts, even the most impressive of beards can produce a little damage. If you notice any ingrown hairs, tweeze them out to prevent further irritation. For skin that’s at present reddened, a light coat of Cortisone should assist in reducing the symptoms, though be sure not to misuse it. Consistent brushing will give a man’s beard a clean shape, smooth texture, and will also train hairs to grow in a distinct direction, reducing the risk of scratching and having additional ingrown hairs. Any small beard comb will do, although thick beards may merit a boar beard brush. You can read in detail here about Top 10 Beard Grooming and Care Tips. What are the benefits of using pre-shave oil? Pre-shave oil moisturizes the skin and therefore reduces the risk of skin breakage during shaving. The oil also helps reduce inflammation and prevent irritation of ingrown hair. How do I treat an itchy beard? Ensure that the beard is well cleaned up, conditioned and moisturized. You can find many beard care products in the nearest mall or beauty shop. Is there a way that can make a beard grow faster? There is no specific answer to this question, but yes, you can aid the growth of your beard by ensuring you eat healthy foods and drinking a lot of water. Hair is made up of a protein known as Keratin hence its essential to eat vitamins and nutrients which aid in cell growth. Although there are multivitamin supplements that can aid in beard growth one will need to have clearance from the physician before they add the vitamins to their diet.